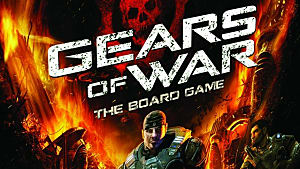 At the very heart of the third-person shooter genre on the Xbox 360 was the original Gears of War. 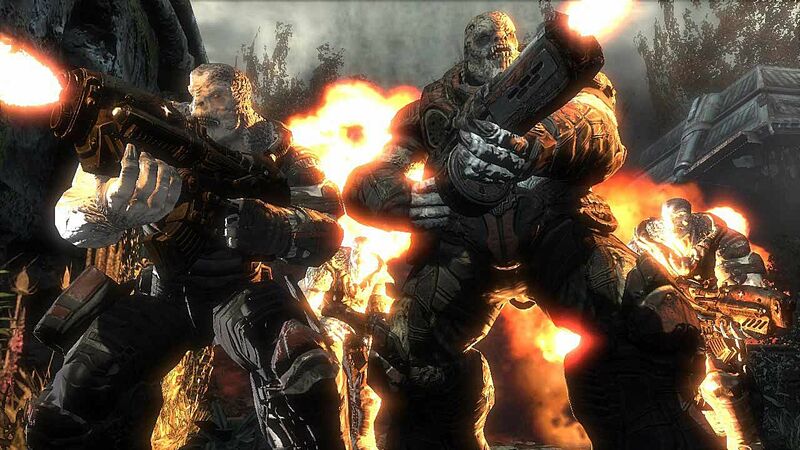 Gears of War was a trailblazer when it came to doing third-person shooting right. It took a group of disgruntled chunky warfighters to battle with intense gore, cover-based shooting, and some of the most refined high-definition graphics at the time. 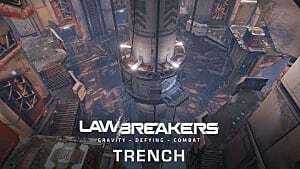 What made it such a powerful game in the early days of the 360 era was that it delivered both a thrilling single-player campaign, and what was arguably the best third-person arena-based shooter at the time. For me, the Gears series is one of the principal reasons I play Microsoft’s Xbox consoles. The Xbox 360 hardware was epitomized by Gears of War: it represented a meshing of graphical fidelity and online superiority. Though the later games in the series didn’t exactly garner as much might as the original, they were all solid experiences in their own right, and do, for the most part, feel in harmony with the introductory game in the series. With that in mind, the Gears series could have concluded with the prequel game—Gears of War Judgement—because, once combined, all the titles felt like a complete, well-rounded experience. 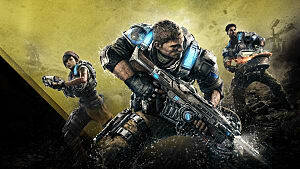 But I can’t say that I’m disappointed about the decision to let the series live on in the form of Gears of War 4. Prior to its launch, my chief worry about continuing the franchise -- and I’m sure I wasn’t alone -- was how the new developers would treat the staple series, what I consider the identity of the Microsoft home console. If you’ve played through or are in the midst of completing the Canadian-developed Gears of War 4, then you likely have great faith in The Coalition when it comes to taking an existing series and doing it right. And by that I mean that as dedicated Gears of War fans, you have probably noticed that much of what made the decade-old series a treat to play, remains largely the same today. The one issue that seems have been swarming the web is that there are several overt references to past games in the series, including reused gameplay segments, graphical similarities, recycled weapon types, and archetypal enemies. 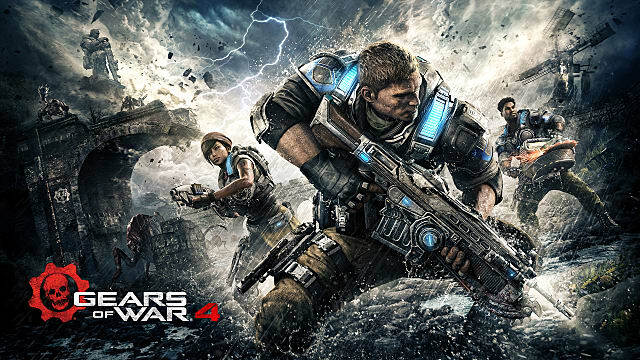 All of these repetitive inclusions may leave you feeling that Gears of War 4 plays things a little too safe, and I would admit that you are correct. But I’d like to explore why a safe emergence for The Coalition was probably the best endeavor the creator newcomers could have brought to the series, and why it makes sense that they handled the next entry in the franchise the way they did. 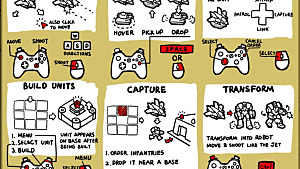 Be warned -- if you haven’t yet beaten the game, some spoilers may be unearthed. Starting with the dark aspects of Gears of War 4, one can clearly see that the latest entry was heavily inspired by the macabre horror elements of the original Gears of War. Though the latest release includes a number at the end of its title, I don’t necessarily consider it to be an extension of the series, but rather more of a reboot that just happens to take place in Marcus’ senior years. Drawing on the dimly lit, gray, bloody aspects of Gears of War, Gears of War 4 really hits the mark when it comes to the overall graphical tone. And this tone is vital when it comes to making the new Gears feel like it belongs amongst the ranks of the original series. For that reason, I would be disappointed if Gears 4 did venture too far into the future of sentient, government-controlled robots. Uprooting the franchise would have at best attracted a new crowd, and at worst provided an unfulfilling adventure for purists and an erratic, identity-lacking shooter for the newcomers. Before the release of Gears of War 4, I was unsure about how the DeeBees would fit into the whole experience. I mean, Gears of War was always about seeing chunks of bloody flesh flying around, not about watching sparks and metallic doodads. Luckily the Swarm fills in for the Locust, and the DeeBees don’t detract much from the moody locales present in the new game. The problem with having too much focus on the DeeBees would be that it’d probably make Gears of War feel more futuristic and less horrific. So, while it may be true that the Swarm are a laughable replacement for the Locust, I have no qualms if it means that the game retains the gore and gray of the original. The mood of Gears is dark and dire, hopeless and persistent; remember the Mad World song that would play during the original’s marketing campaigns? That’s Gears, and the madness of carving through waves of foreign evils to find Kait’s mother paints the mood well. I found that the story of Gears of War 4 wasn’t necessarily a very robust one -- but then again, the original games didn’t exactly have the most detailed narrative encounters. 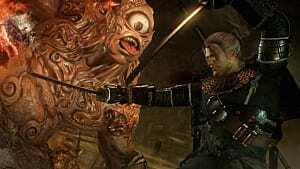 The Gears series has much in the way of lore, high-action sequences, and unique gameplay segments, but the story usually hinges on a single note—kill the ugly monsters from beneath the ground. And you know what? That’s all I really need. That, some really tight gameplay, and a few comedic moments between the squad members who fight alongside the protagonist, JD Fenix in this case. There may not exist much character depth between the squad members introduced in Gears of War 4 -- but as in the original Gears, the back-and-forth banter between the beasts in armor does a fine job at exemplifying the comradery and thirst to defeat any foreign threat standing in their way. Besides, the addition of veteran Marcus is a great way to harken back to the old series. I enjoyed how Marcus, a symbol of an aged franchise, joins and leads the youthful deserters of the COG, almost as if to shepherd them towards a future without him. This leads me to my final point. 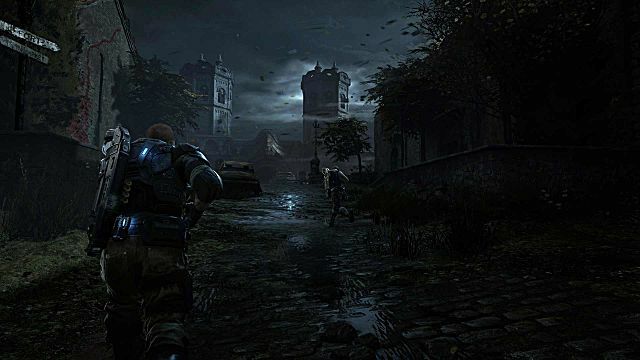 I think it was wise of The Coalition to play to the strengths of the original Gears of War game without necessarily turning it on its head, because it establishes the studio’s reputation for what is to come. Now that they have essentially quenched the bloodthirst of Gears veterans, they can make a calculated shift in the next entries. And a calculated shift it will be -- did you catch that twist ending? The finale of the game supports an interesting relationship between the old Locust queen and a potential new one, and will certainly lead to some interesting turmoil between Kait and her comrades. 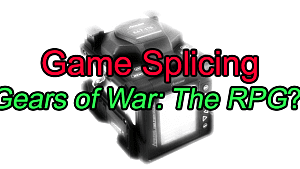 By carefully taking what made the original special, The Coalition traveled cautiously to massage a familiar experience towards a future one that may lead further into uncharted territory. Uprooting the franchise would have at best attracted a new crowd, and at worst provided an unfulfilling adventure for purists and an erratic, identity-lacking shooter for the newcomers. If it is true that the greatest artists mimic works of other successful artists, then The Coalition does well to grasp onto the backs of giants before gently releasing their grip to proceed onward. Well, we're not here to sell cookies... So they know something's up. 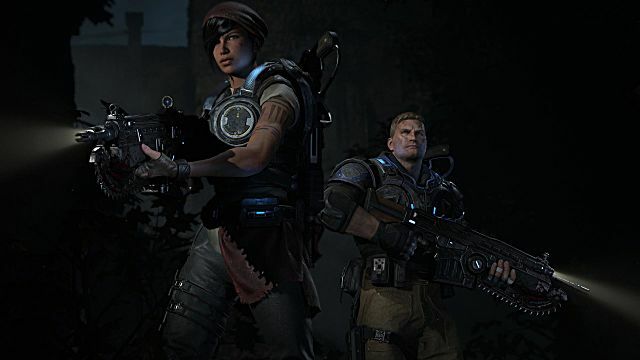 By coming out like a berserker, Gears of War 4 and the attributed developer, The Coalition, would have risked ruining what made the series great. 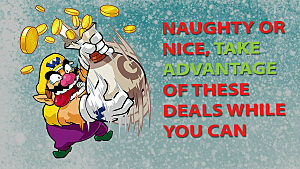 They could have torn the very fabric of the beloved franchise and tainted the imulsion powering the games going forward. Perhaps it may have been refreshing to see stark differences between Gears of War 4 and Gears of War, but I’d much rather a safe return to Sera so that future games are guaranteed a shot at success. That, and like many, I am a sucker for nostalgia. 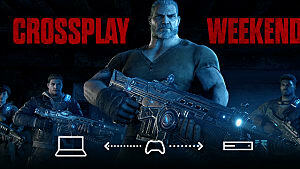 Now that The Coalition is well-cemented as a successful Gears of War developer, we should apply just a bit more pressure when it comes time for them to deliver the inevitable Gears 5.